Last year I was traveling cross country with my sister-in-law. 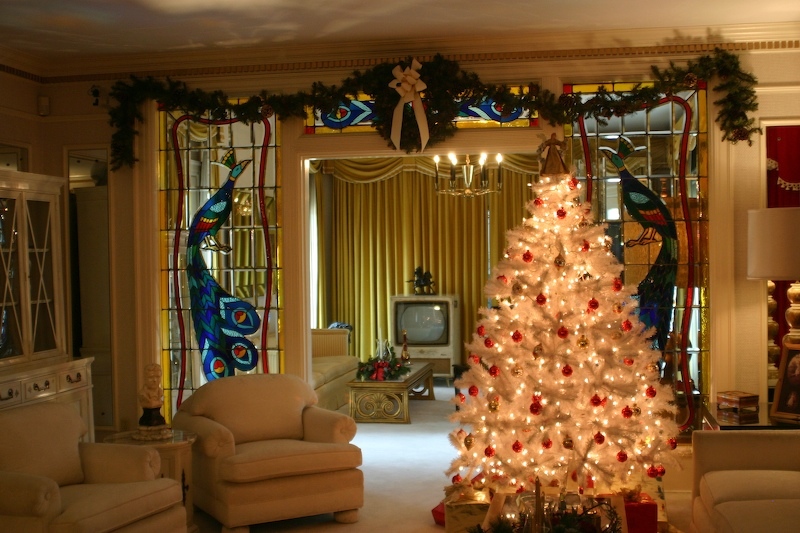 We stopped in Memphis and toured Graceland, which was fully decorated for the season. 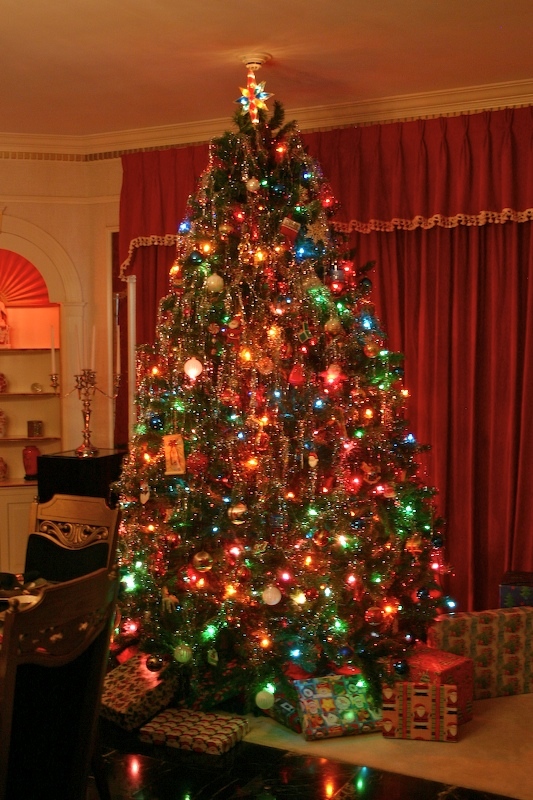 The tour guides said that it was decorated exactly how Elvis had it decorated for the holidays. As you enter the front doors, to the right is the formal living room. Continuing down front entry, behind the living room was Elvis' parents bedroom. After he purchased this home, he moved his parents in with him. They were very important to him. 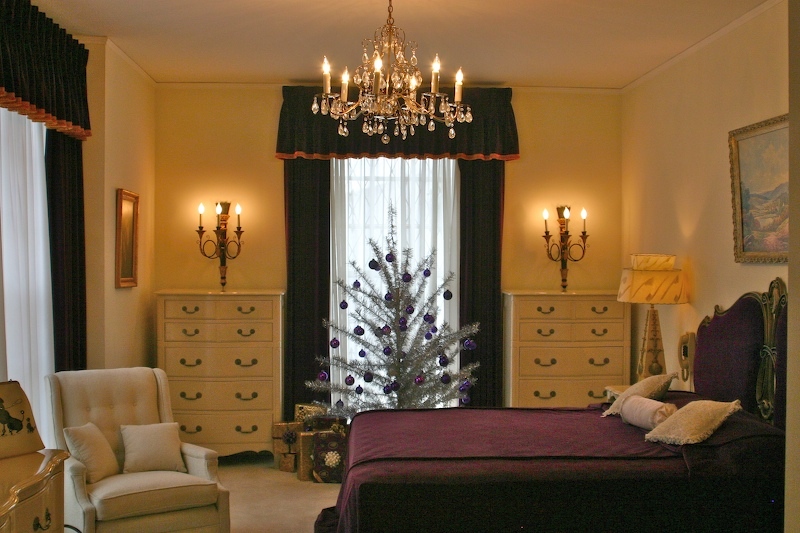 They even had a Christmas tree in their bedroom, with purple ornaments to match the decor. Back out to the front entry, this stairway leads to the off-limits part of the home. The family still stays here when they are in town. 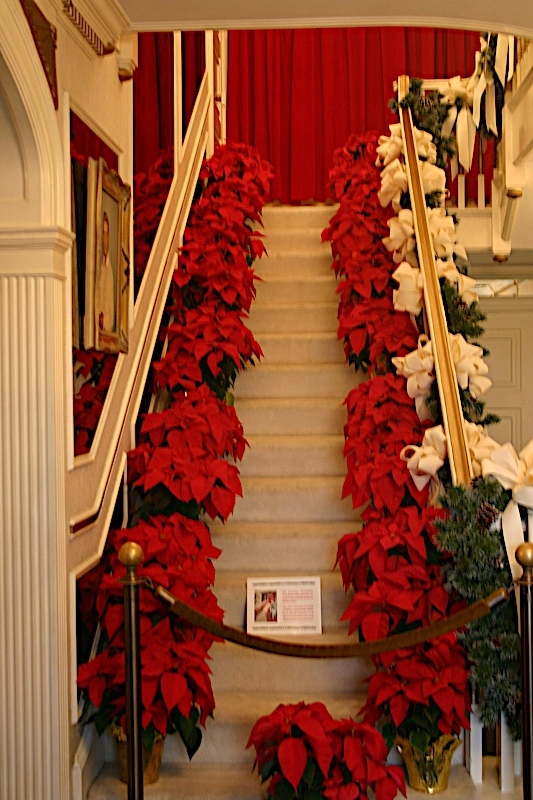 The formal dining room is to the left of the stairway and front entry. The famous Jungle Room, towards the back of the mansion. 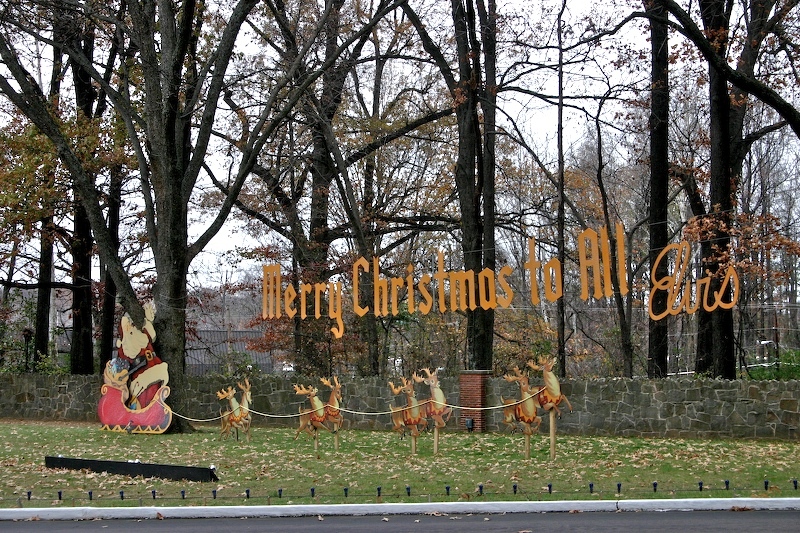 On the front lawn, Elvis wishes everyone a Merry Christmas. 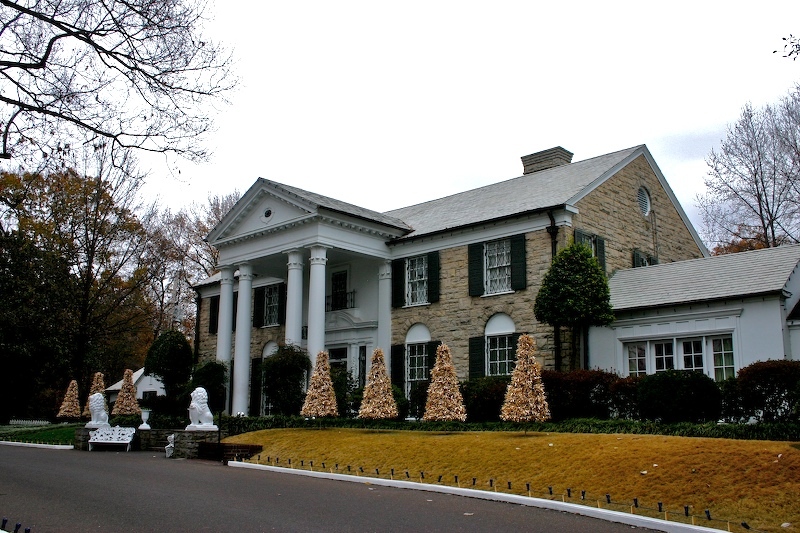 Ah, Graceland, I've never been there and I hope to go one day. 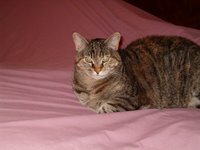 I was a faithful Elvis fan in his younger days, I even subscribed to Elvis Magazine. Wish I had some of those copies now, they are quite collectible. But once he got fat and wore those twinkly jumpsuits, the Vegas Elvis, I kinda fell out of love with him. Great post, nice to see how Elvis decorated his hime. OH, i am so happy to see what it looks like at Christmas, Nevada and i were there about 4 yrs ago, it was interesting place to see, Nevada is a huge Elvis fan. The King will live forever for those who love this stuff, Mad. How fun that you got to see it. 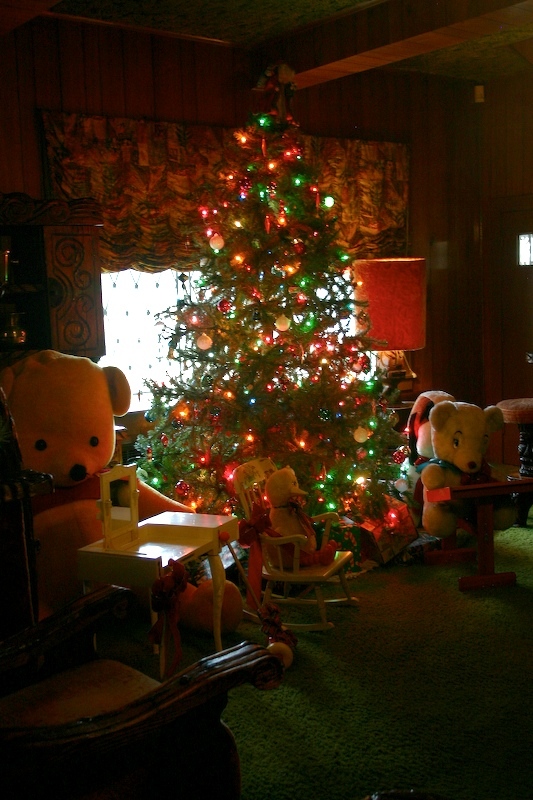 Elvis' home actually looked pretty cool decorated for Christmas. Great photos. I really need to take my Mom here sometime.